Fans flowed into the Marriott Center on Saturday afternoon, but it wasn’t a typical crowd. With many clad in pink, these fans were there to do more than cheer on their BYU Cougars. They were celebrating National Girls and Women in Sports Day. BYU used to hold this event in conjunction with the National program, but it trickled out after 2013. The athletic department decided to revive it again this year. 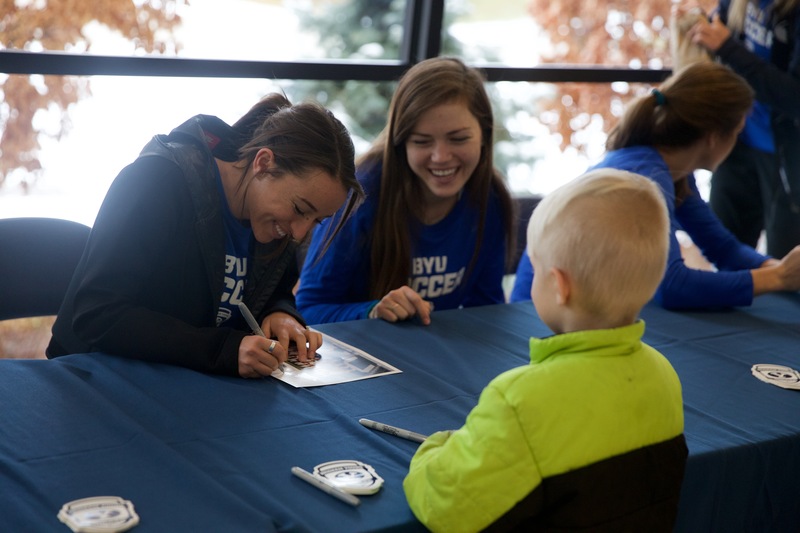 Many BYU female athletes attended the event and were available to sign autographs and chat with fans. For young girls, like 12-year old Brooke Shepherd, BYU’s female athletes are examples of what they can accomplish. Shepherd, who attends many BYU athletic events with her family, said she admires the athletes. But it wasn’t just young fans that came to show support for the Cougars. 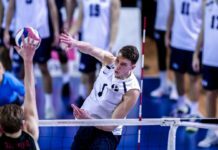 Some, like BYU senior Richard Lee, have been attending games for years. Lee’s favorite sport is soccer, so he brought a soccer jersey for the women’s soccer team to sign. Women’s collegiate sports have grown tremendously in the last few decades and have expanded to include more sports, including those that are heavy in contact. BYU women’s rugby player Grace Taito was there to show girls they can play any sport. When Title IX was introduced in 1972, there was an average of two women’s teams per university nationally. BYU currently has 269 female athletes on 11 different teams.